Our sector awards recognize investment banks delivering exceptional service in specific industries through focused and highly developed expertise. Investment banking fees declined in 2016, with global fees falling 7% to $71 billion, according to data company Dealogic, with a light dip in M&A, a more substantial decline in equity and some improvement in debt fees. In moments like this, focusing on specific sectors of activity can help the industry leverage its potential while keeping costs under control. Global Finance sectoral awards, to a total of nine banks in 12 different sectors, recognize exceptional service delivery in a specific industry. Eldorado Gold: BMO advised the company on sale of Chinese assets. In some cases, focus on a specific sector helps make the bank truly global, as in the case of Canadian BMO. “We would rather be a top three bank in specific sectors than the tenth bank in everything,” says Jason Neal, co-head of Global Metals & Mining at BMO, which was awarded the 2017 prize for Metals & Mining. 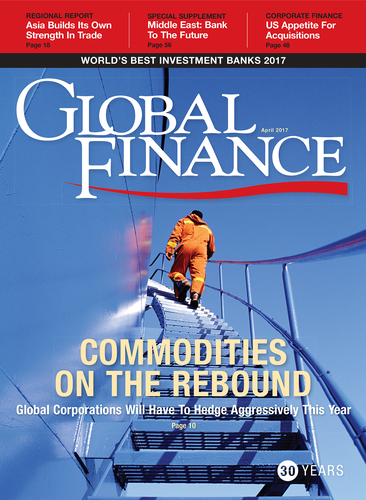 “Metals & Mining is the most global of our franchises so it is one we invest very heavily in.” With bankers from Vancouver to London to Beijing, BMO closed many mining industry deals in 2016, such as the purchase by Canada’s Centerra Gold of US-based Thompson Creek for $1.1 billion and sale to Chinese customers of Chinese assets by Canada’s Eldorado Gold. “Our clients see us as sector specialists; we get hired to work on transactions that have nothing to do with Canada or the US,” says Neal. In a sector where the pickup in commodity prices has recently breathed new life and spurred interest in fresh deals, Neal says that BMO 2016 investment banking fees have been significantly higher than in 2015. “We had substantial growth in both our equity fees and our M&A fees in 2016, and that is because our activity levels in both products were up considerably.” He also expects activity to remain lively in 2017. In mid-March BMO advised Trevali in a $400 million transaction to buy two zinc mines—in Namibia and Burkina Faso—from Glencore in exchange for Trevali stock. “Investors are supportive of precious metals but they are especially focused on base metals,” Neal adds. 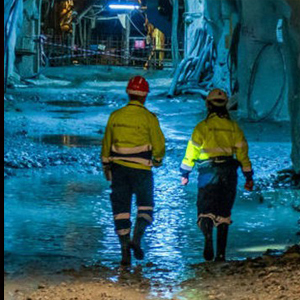 Nordea Denmark, the only all-European name in our roster of investment banks in the sector, took this year’s prize for the Power sector. 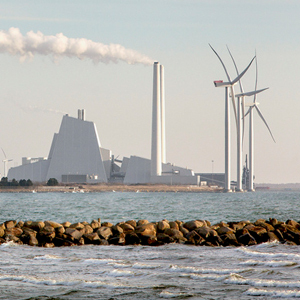 Nordea Denmark was, among other things, joint global coordinator with J.P. Morgan and Morgan Stanley of the Danish IPO for offshore wind farm operator Dong Energy—one of the largest European IPOs in all 2016. Following the trend of recognizing excellence at relatively smaller investment banks, Deutsche Bank is honored in the Media & Entertainment sector, having raised $13.2 billion in debt for 36 such companies. The Real Estate sector prize goes to China Securities, which raised $20.7 billion in 114 debt issues in the real estate industry, claiming a 7.7% market share in that industry worldwide. Another global winner from China is Haitong Securities, based in Shanghai, which took the prize for Consumer Product Companies goes to China’s. Haitong Shanghai raised $1.2 billion for its clients in five equity deals that represents a 45.4% share of the equity capital market for the industry worldwide. The big prize in the Infrastructure sector goes to Barclays, which advised clients on 16 M&A deals valued at $147.8 billion, claiming a 40.7% share in the industry. The major-league players were winners in the remaining four sector prizes. Morgan Stanley took home prizes in two sectors: Industrials & Chemicals, for having advised clients on 50 M&A deals valued at $231.5 billion, claiming a 40.7% market share for that industry in 2016; and Telecoms, for having advised clients on 14 M&A deals that were valued at $75.4 billion, a 44.7% market share for that industry last year, according to Dealogic. Dong Energy: Nordea Denmark backed one of Europe’s largest IPOs. J.P. Morgan also performed well in 2016, receiving top awards for serving the finance and healthcare sectors. Global deals in Financial Institutions remained one of the busiest categories ever, and J.P. Morgan held nearly 25% global market share advising clients on 59 M&A deals that were valued at $75.4 billion. In Healthcare, the bank advised on 50 M&A deals that were valued at $76.2 billion, nearly 24% market share. Goldman Sachs, which was surpassed in global ranking by J.P. Morgan in 2016, was awarded top honors in two sectors: Oil & Gas and Technology. In Oil & Gas, Goldman advised clients on 16 M&A deals in the oil and gas industry that were valued at $59.8 billion, equal to a 22.5% share worldwide. At 34% of global market share (based on 74 M&A deals valued at more than $207 billion), the bank’s strength is even greater in the technology sector. Britton notes that Goldman advised ARM Holdings on its sale to Japan’s Softbank for $32 billion and Qualcomm on its $47 billion acquisition of Netherlands’ NXP Semiconductors. Goldman also played a role in the sale of industrial software maker MSC Software to Sweden’s Hexagon for $834 million.